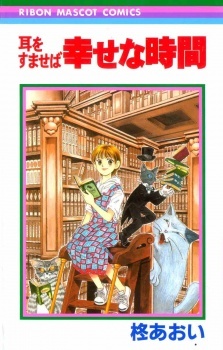 A sequel to the manga that was made into a movie, "Shiawase na Jikan" is comprised of two stories. The first is a continuation of the first book, two years into the future, and Shizuku is now preparing for her entrance exams. The second story, "Kikyou no Saku Koko" (The Blooming of the Balloon Flowers), is an unrelated original story. Tsuge Takayuki is a normal college boy, who, one day, sees a girl admiring the flowers in his front yard, and was reminded of a girl who stood by the flowers one year ago, crying in the rain. He falls in love with her, but will her injured heart accept his feelings?